Your living room may hold a special place in your heart. From cozy movie nights to spending quality time with your loved ones, your living room has been there for it all. 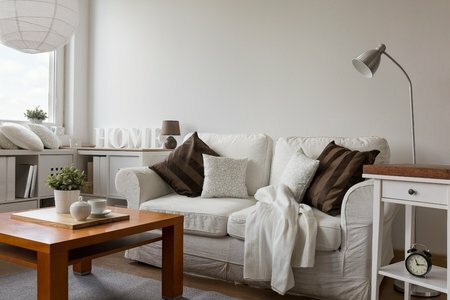 Whether you are downsizing or redecorating your current space, you consider your living room to be on the smaller side. But just because it is small does not mean it cannot have tremendous potential. Let us help you turn your small living room into something as individual as its memories. 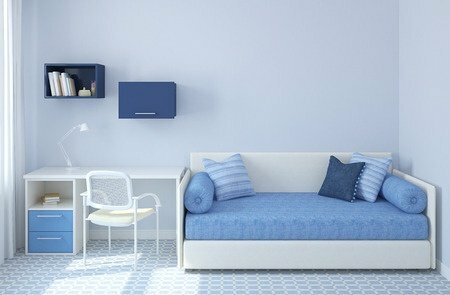 Interestingly enough, interior designers recognize the fact that light color furniture can be an excellent choice for smaller rooms. The subdued colors help create the illusion that your space is more substantial than its actual dimensions. They blend well into the room and feel as if they are barely there. Generally, in smaller spaces, neutral color schemes tend to work best. The neutral colors help to make the space flow and leave the room feeling refreshing and open. Play Off of The Vertical Perspective. In any small room, you want to use the vertical length of the room to your advantage. Play up the length of your walls by accenting them with long curtains or decor pieces. In a smaller space, it is a good idea to use smaller pieces. Furniture and decor pieces tend to tie in well with the room’s size when they reflect the size of the space and help make it feel more appropriate to the room’s dimension. There is nothing quite as beautiful as natural light. Be sure to always open your curtains during the daytime to let the natural light flood the room. Also, you may want to consider buying sheer curtains that allow the light to come through even when the curtains are shut. When in doubt, white can be a great color selection for small spaces. White is a tasteful and classic color that will never go out of style. It is perfect for small areas because it reflects light well and does not intrude with other decorative pieces. If you have an open floor plan, you may want to consider dividing the room off with furniture pieces. A simple sofa or table could create a small division that separates the area visually. An excellent idea for small spaces is to create a clear walking path that directs guests towards the seating. Just consider the layout of the room and how functional it is to newcomers. We hope you enjoyed these tips and tricks! Let us know what you think in the comment section below! Baskets can be one of the most useful and stylish storage pieces that you can use throughout your home. They are versatile and functional items that can work in practically every room of your home. Whether you prefer baskets or bins, we have seven ideas that can transform the way you currently view storage in your home. Creating the perfect oasis for your guests begins by establishing a stress-free, relaxing environment for them to enjoy. Let your guest’s minds go to ease in the guest bedroom by having a place for everything. Supply baskets and bins for them to put their belongings and store guest room essentials inside of the baskets. To help their stay feel like a vacation, you can place a soap, razor, towel, lotion, toothbrush, and loofa inside of a basket for them to enjoy. Living rooms tend to be an open space where everything is out in the open. To help transform the current organization system in your living room, you can use baskets. Decorative baskets are perfect for storing bulky, unattractive electronics. Plus, they give you easy access whenever you need to pull out something. Reimagine your kitchen by using baskets and bins to organize your counter space, cabinets, and pantry. Home decor stores sell decorative bins and canisters to hold all of your items in a stylish way. This way you can display your condiments on the counter without worrying about them being an eye-sore. Finish off your pantry with baskets and bins to store and organize all of your food goods. Believe us, searching for an item will never be so easy with this solution! Simply print labels to place on the face of the basket for ease-of-use. Are you constantly stepping on your children’s toys? Save your feet and time by organizing all of their items inside of playful baskets. Whether your child loves princesses or dinosaurs, there is a themed basket for that! You can instantly make clean-up time fun again with these decorative baskets. Crafting can be a great hobby for homeowners who just need a break from their stressful life. Do not let the busyness of everyday life affect your craft room’s potential. Stash your items in organizational bins and baskets for an organized, functional craft room. Laundry can be a bit of a sour subject. No one loves dirty laundry and organizing it does not sound very fun. But with baskets and bins to help you sort, you can rethink the way you currently do laundry. Purchase a basket or bin for each load of wash. Then the next time you go to do laundry, you sort the items in the basket based off of their wash requirements. For example, you can have a basket labeled “Colors” or “Whites.” This will help save you time and minimize on extra loads. Keep your mudroom clean this winter with baskets to store shoes, coats, and winter gear. You can either make a basket per item or per family member depending on your preference. We hope you enjoyed these tips for staying organized with baskets! The organization does not start there. You can use baskets and bins in nearly every room of your home. Let your creativity take over and create a beautiful organization system to match your home’s decor. Looking for ways to transform a blank canvas? A split complementary color scheme will no doubt add great contrast to a room which instantly brings interest and variety to your space. However, the downside is that you can end up with a design that looks busy or messy. If you’re interested in doing something different with your home’s decor, this article will show you how you can pull this off successfully. What Is A Split Complementary Scheme? In a split complementary color scheme, you’ll be using three different colors. This decor consists of two complementary colors and then the color that sits opposite from the complementary color on the wheel. For instance, yellow and green are complementary colors. Violet is the split complementary color of yellow. Usually, this palette will consist of two warm colors and a cool tone. However, you can adjust the temperature balance as you see fit. If you want to create a warm and welcoming atmosphere then you should use more of the warmer colors in your decor. Paint your walls and use this color in your furniture upholstery. On the other hand, if you prefer to set a cool mood then you would do the opposite. Yes, using a split complementary scheme can be challenging especially if you’re not particularly skillful at using colors. To avoid a harsh clashing of colors, which can make for an aesthetically unpleasing look, make sure you don’t overdo the contrast. For a sophisticated look, you can tone down the hues of the opposite color. You can even use more of the two complementary colors and the third color sparingly. Blue and violet are complementary colors. In a split complementary design scheme, blue and violet are the dominant colors. Orange should be used sparingly as an accent color to make your space come alive. For instance, in a bedroom, you could consider painting the walls a pale violet and covering the arches in blue. Perhaps your bedding would also be violet or blue and you can add orange pillows as an accent. Red oak is an attractive flooring option available for your home. Well known for its durability and longevity, this material takes stain well and has a beautiful open grain which gives it a little more character than other hardwood choices. It is also widely available in the United States and constantly being replenished, making it a “greener” flooring option. When choosing wall and decor color for a room with red oak hardwood consider its size first. If you are dealing with a smaller space, warm colors can make it feel more closed in while cooler colors can make it appear larger. Warmer colors are red, orange and yellow and cooler colors are green, violet and blue. 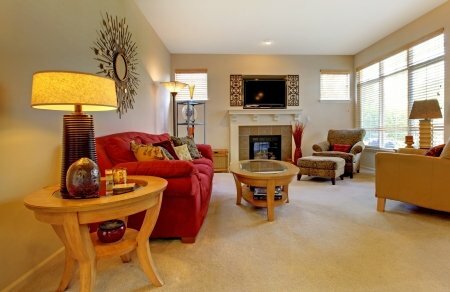 Warm colors are also best used in rooms where more activity takes place as they are more lively. Cool colors are calming and tend to work best in bedrooms to promote healthy sleep patterns. The relationship between colors can be seen using a standard 12-part color wheel. In what is called Color Theory, three colors that sit right next to one another are analogous, while colors that are opposite one another on the wheel are complementary. Since analogous colors are more subtle in variation they can easily blend with one another while complementary colors stand out when placed side by side. 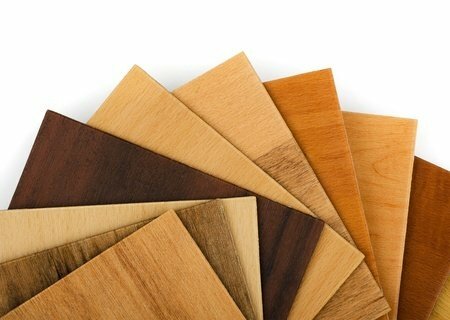 While red oak can take on a different appearance when stained, we will use its unstained light reddish tone to further explain these color schemes. Using an analogous color scheme which includes the color of your red oak flooring would be to combine that reddish color with orange and gold accents. This would add instant warmth to the room and give it a traditional look. 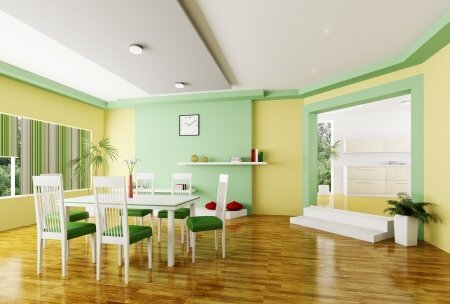 A complementary color scheme would make the room look more vibrant and provide visual interest. With red oak being your base, incorporating greens and blues would strike a great balance between warm and cool colors. Be sure to use neutrals throughout the space to prevent the energy of the room from becoming too overwhelming. It is always good to give the eye a place to pause when looking at a more dynamic color scheme. When it comes to decorating with mirrors there are never any rules. Yes, mirrors are a great way to quickly add visual interest to your space. 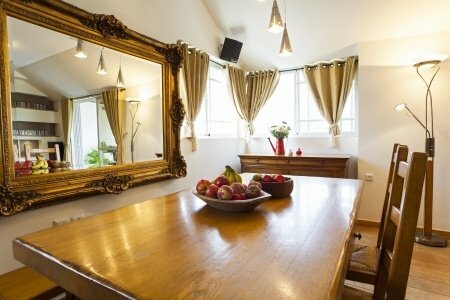 Using mirrors as a decorative element has numerous benefits. It can instantly add depth and bring in natural light. In addition, mirrors can create a special effect when they reflect colors and paintings on adjacent walls. Here’s how you use mirrors to add style and increased light to your home. Implementing a floor length mirror between two windows creates the illusion of a third window. This helps bring in more light to your space. By casually propping a large framed mirror against the wall creates a relaxed feel. You can use mirrors as an accent to the focal point in a room. For instance, by hanging a mirror over a fireplace mantel that extends to the ceiling, you can create a dramatic look. This is a great way to create emphasis in a neutral living room. Are you ready to make a powerful statement with your home’s decor? Try lining, two large equally sized mirrors on adjacent walls. This enables light to bounce all around the room. This look will especially complement the dining room area because it expands the area and gives the illusion of a bigger crowd around the dining room table. Forget the traditional paneled or tiled backsplash. Update your kitchen by installing a mirrored backsplash around your counter area. A mirrored backsplash will open up a small kitchen and add glitz without being over the top. Forgo the traditional medicine cabinet hanging over the bathroom sink. Instead, you can use a mirror of any shape to make a statement. A circularly shaped mirror can break up all the sharp straight lines and adds character. When using mirrors as an accent piece in the home try to select mirrors with interesting shapes and unique frames for further customization! Perhaps the greatest feature of laminate flooring is its durability. Laminate has a tough exterior with a resin coating, making it resistant to scratches and heavy impact. When compared to vinyl, hardwood, and other types of flooring, laminate can last much longer. The surface makes it ideal for homes that experience a lot of traffic such as households with children and pets. Plus, laminate flooring products are extremely easy to install. They can be installed over pre-existing subfloors as well as uninstalled when it is time for an update. The simple installation process can save both time and money for the customer. Laminate flooring products are inexpensive, especially when compared to hardwood or stone flooring products. 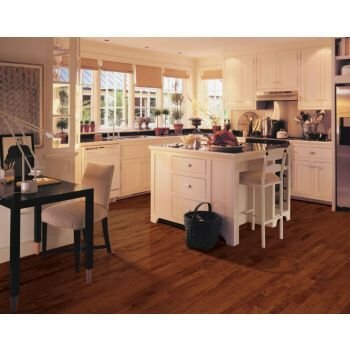 You can find laminate flooring for almost any budget or price range. Although laminate can be inexpensive, it does not fall short of quality. When you take into consideration the longevity of laminate floor it can be one of the best economical choices. Laminate floors are easy to maintain. They can be cleaned with a simple cleaning solution or standard cleaning products available on the market today. Make sure that the cleaning products you use meet the manufacturer requirements. Laminate floors are derived from wood by wood products, which means that it does not use harvested or endangered tree species. Laminate does not trap dust particles and other allergens; therefore, it is a great choice for people with allergies. If you are considering buying laminate flooring for your home, feel free to visit us and ask any questions or concerns you may have. We look forward to helping you choose your new flooring! In design, variation is great because the contrast keeps things interesting. Variation can occur in colors, textures, pattern and through the use of different flooring. Most of us don’t purchase decor elements at one time. It takes some time to build your ideal home. What about when it comes to different wood finishes? How can you ensure that they blend seamlessly together? Be mindful of the undertones While it’s not necessarily critical for the wood floors to be identical in your home it should complement one another. Regardless, of the finish determine what the undertones of a grain are. For instance, if both the coffee table and the living room utilize different wood grains if they both have warm undertones than they can complement each other. Look at the grain If all the different grains have a prominent grain homeowners should always try to keep the pattern the same so as not to alter the mood of the room. Remember that larger grains give off a more casual appearance but smaller one gives off an air of elegance. Use a buffer. If you have a wooden coffee table that’s drastically different from your living room floors to you need to use a buffer to separate the two designs. You can use a thick area rug that will create some contrast but also unify the two wood mixes. Try to limit the number of finishes you are using in one area. Going too wild with the finished can cause the design to look too chaotic. Instead, repeat the finishes just a couple of times in the room. Using g white wood sparingly throughout a room that has a couple please of different wood finishes can help break the look and unify it. By applying some of these suggestions to your design scheme you will be able to blend wood finishes easily. Have you ever seen a home decorated in shabby chic style but aren’t quite sure how to pull it off successfully in your own space? Look no further! We’re going to educate you on what pieces and motifs are considered shabby chic and how to incorporate the style into your home without going overboard. Shabby chic is all about creating a natural, inviting environment with soft, feminine colors and designs. Clean whites and calm pastels are welcome and the “distressed” look is the star of the show. Soft cottons and linens as well as a recurring theme of roses give this style its unique look. Pieces that have seen a little wear and tear over time are prized for their aged look and imperfections. Natural elements and colors as well are all part of the flow this romantic style creates throughout a space. What separates this method of decorating from being classified as simply “vintage” is the fact that not just older items are used but newer pieces can be manipulated to mimic styles from time gone by. Modestly constructed furniture can be transformed through performing painting and sanding methods that resemble an old-fashioned finish without the antique price. Vintage hardware can be added to complete the look. Crystal chandeliers, touches of lace and vintage mirrors are all great ways to add a shabby chic touch to your home. Touches of ballet pink, baby blue and mint green accents throughout the room add a gentle touch of character. Floral patterns, chenille bedspreads and decorative containers placed throughout will add charm to the space while staying on theme. Vintage clocks, wall sconces and candlesticks can be easily added without great expense. A beautiful embroidered tablecloth with vintage china and linen napkins would be a real showstopper in any dining room if you commit to this decorating style. Whether you want to add little touches here and there or go all out with this theme, do what works for you in the space. You want your home to be beautiful as well as functional, so only incorporate pieces that will still allow you to enjoy your living space without having to worry about disturbing its overall look through everyday use. While designing the interior of your home can be fun, it’s also an overwhelming project. When it comes to making decisions on what type of cabinetry you should install in your kitchen or whether you should select carpet or hardwood flooring, this can be difficult. With hundreds of different textures and textiles available on the market, selecting flooring, cabinetry, and furniture is no easy task. That’s where we come in. We offer two powerful tools on our website that can make the selection process so much easier. Our website features both a Lifestyle and Style quiz that narrows down flooring choices and much more. Both quizzes are easy to take and can be completed within minutes. The Lifestyle Style quiz starts off by asking you a host of questions regarding the size of your household, your specific preferences as well as some information about your way of life. Based on your responses the tool will generate a list of flooring options that best suited for your home. Also, you’ll receive detailed information on each type of flooring material and maintenance tips. We invite you also to check out our Style Quiz. The Style quiz consists of a series of images all featuring a unique design style. You’ll be prompted to select a design style. Once you click on the pictures, your custom profile will be displayed. The style profile shows your particular style. Taking these two quizzes before you visit our showroom and meet with our consultant can be helpful. Knowing what your personal design style is and what type of flooring is most appropriate in your home gives you a great starting point when you visit us. Such personalized knowledge will enable you to make the best selections. We want you to make your home as beautiful as possible. That’s why we offer our assistance throughout the entire process. Contact us today with any questions or to schedule an appointment with our experienced consultants. The How I Live Interview Tool – Find Your Design Style Today! Having trouble figuring out what design style is best suited to your home? Our How I Live Interviewtool is here to help! Answering targeted questions about family size, pets, special needs and your overall budget will assist us in recommending the appropriate selections in home decor and colors. Having a precise list of suggestions will better equip you to make the right decision for your design project. Each set of questions will focus on your everyday needs. If there are small children in the home with a specific play area, the tool will recommend age-appropriate and functional pieces that are safe and make it easy for you to keep the room organized. Information about your pets can also be useful in providing storage ideas for toys, food and grooming tools. Hobbies like painting or scrapbooking which may need a designated space in your home are also accounted for when you answer the provided queries. The more information you provide, the better the results. Let this tool take the guesswork out of finding function and style in every room of your home. It may even help you realize that some of your current items are not the best at taking care of your current needs. If this is the case, there will be recommendations for different pieces that can help you achieve the look you want while still serving their specific purpose. Learning as much as you can about yourself and your family’s needs will make this service worthwhile. While information about what you currently need in your home is essential, remember to include information about new ideas that you want to implement so your results can be properly adjusted to accommodate them. This will prevent you from having to go through the questions again once you are ready to renovate. Not only does this tool provide suggestions on furniture and complementary color designs, it also includes the recommended cleaning advice for each item in your plan. Knowing how each product needs to be maintained will help keep them looking fresh and new. Check out our How I Live Interview tool today and get started making your home beautiful and purposeful!